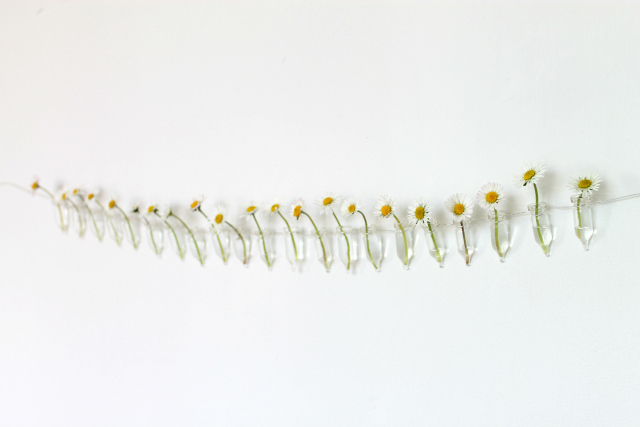 I bought some glass test tubes a little while ago now as I had been meaning to make a little garland with them. Yesterday I finally put it together and it was so quick and easy to do. I love how it looks with a few different flowers picked from the garden. 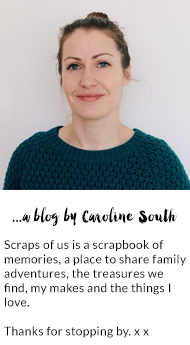 I thought I'd share some steps on how I made it too! 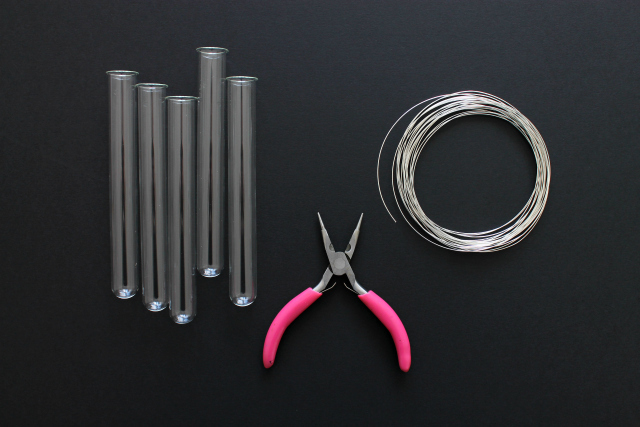 First cut a piece of wire long enough for the length of the finished garland. 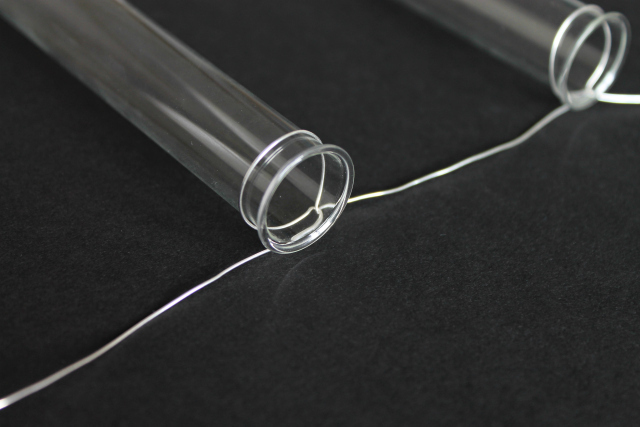 Wrap the wire around the top of the test tube overlapping (as shown above) Then pull the wire tightly around the top and twist over in opposite directions to secure the tube in place. 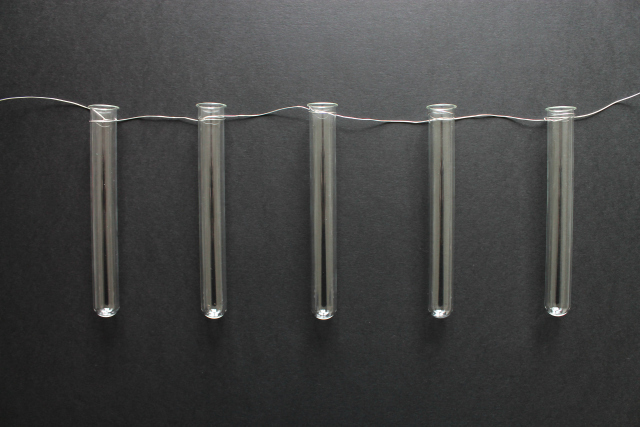 Continue to secure all the test tubes in place leaving an even gap between each. 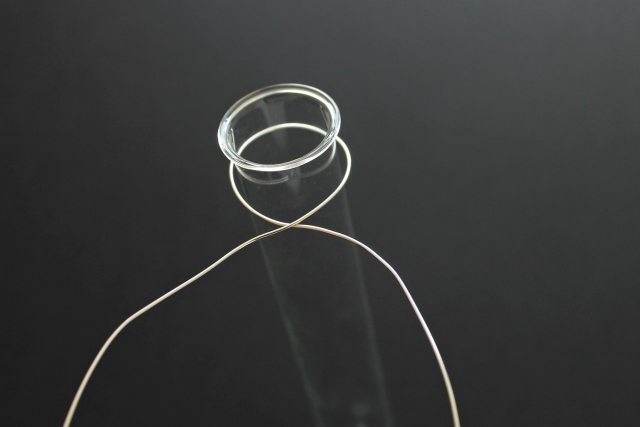 I started in the centre of the wire with mine to make sure the leftover wire was the same length on each end! 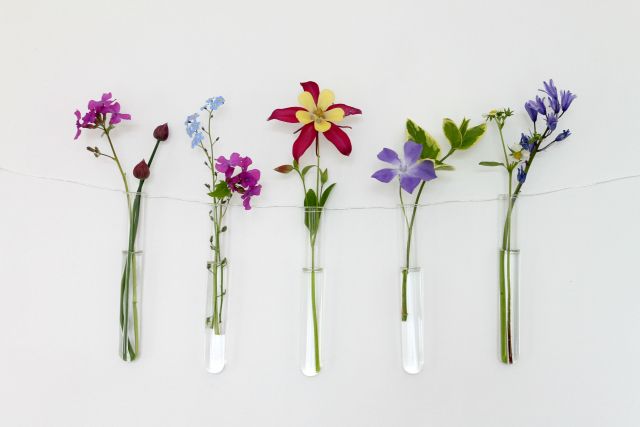 Pin the wire ends to the wall, fill each tube with a little water, pop in some flowers and your done! 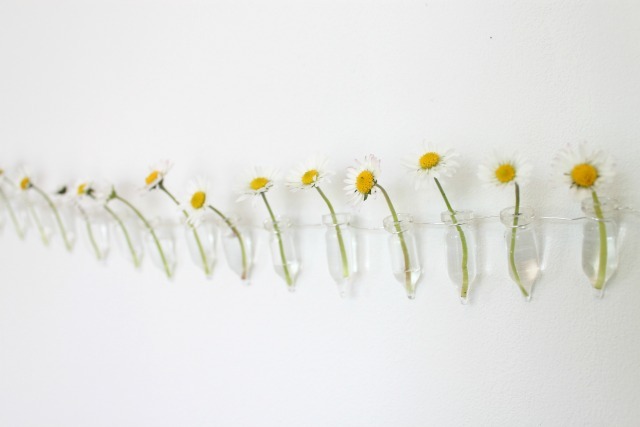 Whilst I was looking for test tubes on eBay, I also found these little tiny ones and couldn't resist getting them to make this mini vase garland - perfect for daisy's picked from the kids! 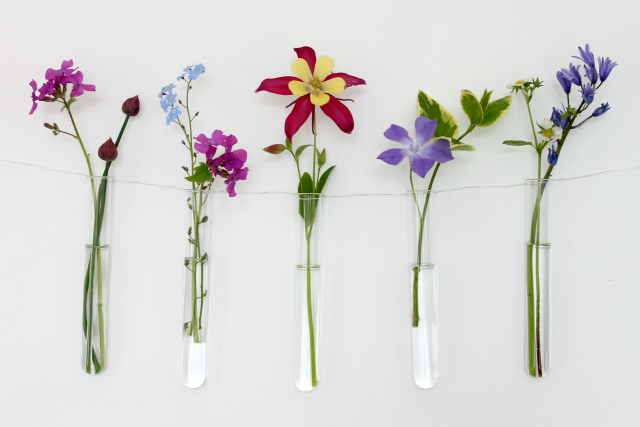 So pretty, what a lovely idea! It looks really pretty. What a unique idea, thanks for sharing.